Area of Use: In and around buildings and in sewers. 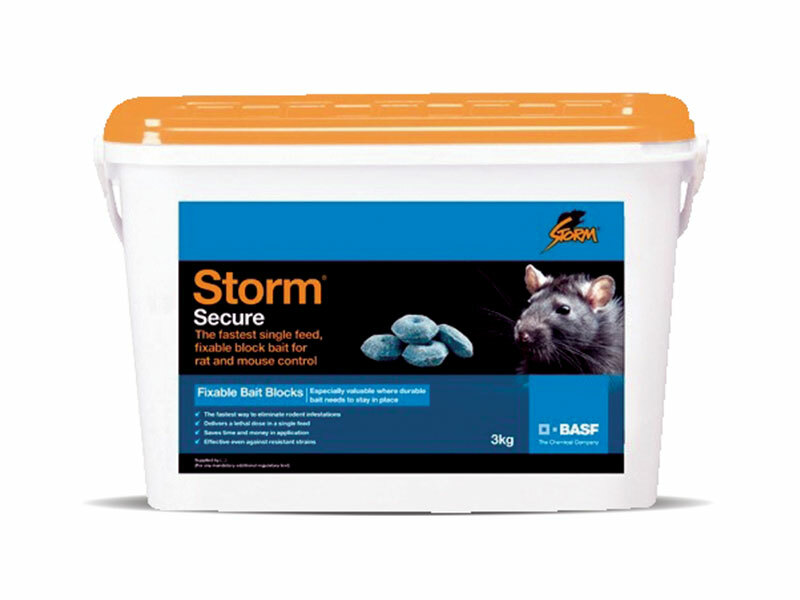 Storm is a highly potent anticoagulant rodenticide which is effective against both rats and mice, including resistant strains. Storm is available as a 20 g block packed in 3 kg and may also be used in sewers and covered drains where their resistance to mould growth make them particularly suitable. IR(93137).